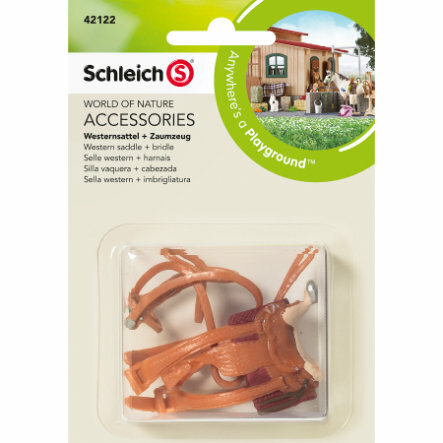 Our Schleich Western saddle fits perfectly on almost all Schleich horses. Many riders choose a western saddle, because it provides safety and comfort. Of course, the matching bridle is just as high quality as the light brown saddle.